yuukunz has no other items for sale. *$43 for 12 months. Minimum purchase required. Tascam 202 MKII Bi-Directional DOLBY HX PRO Dual Cassette Deck Player + Extras! 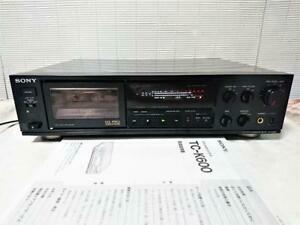 Sony TC-WR645S Stereo Cassette Deck With DOLBY S!! RARE!! REFURBISHED!! !